Angelique is a people person. When she has free time, she loves engaging in great conversations with friends, enjoying a cup of coffee together, and hanging out. She also spends her free time salsa dancing, going out for morning runs, competing in marathons, relaxing, and listening to music. Her work focuses on creating implantable electronics for restoring nerve loss or neural function that is damaged. Specifically, Angelique develops microfabricated arrays of wires for use in cochlear implants that can restore hearing loss and speech recognition. With a chemical and environmental engineer as a father and a mathematician and computer programmer as a mother, Angelique was immersed in science and scientific thinking from an early age. She remembers having fun learning higher level math theory at math camp during the summers, and it was these experience that gave her the confidence that she could be successful in a career in engineering and science. As a graduate student, Angelique faced a frustrating technological challenge. She spent a long time trying to get her cochlear implant electrode array working in an animal model. The implants kept crumbling, failing, or not fitting into the target structure. Angelique was feeling really down about her lack of progress. Around this time, Angelique attended a conference, and something one of the presenters said gave her a great idea about how to fix her array. Getting her NIH Phase I SBIR grant was a really big victory. The first time Angelique applied, she did not receive the award, and she began to think it wasn’t worth it to apply again. After talking to a previous mentor who was successful after multiple attempts, Angelique decided to proceed with another submission, but she didn’t have high hopes. Angelique was thrilled when she got the good news. For her, this was validation she was on the right path, and it provided her some funding to pursue her start-up full time. Angelique’s favorite travel experience was going to Hong Kong for a conference. The city was great because it was really different from what she was used to and any place she had ever been before. Angelique traveled with a friend who was from Malaysia, and after the conference they spent time in Malaysia together. Angelique was delighted by the phenomenal food and seeing sites off the beaten path. She particularly remembers enjoying excellent tea and admiring the beautiful and serene rolling hills of tea leaves there. In her office at the University of Louisville, Angelique has a giant University of Michigan flag. It was a tradition in graduate school to buy a big Michigan flag for students when they were graduating with their PhDs. Everyone would sign it and include little messages. Occasionally when Angelique looks up while working, her eyes catch notes of encouragement and inspiration from her past colleagues. Always be determined and don’t give up. Try to focus on one thing, and do it really well. Once you have success in one area, you can pursue other things that excite you. Also, try to block out negativity. Write down your plan, and when things are crazy, go back to what you wrote down are reflect on whether it is still what you want. Be patient and persistent, and you can achieve it! Angelique’s startup company MEMStim LLC produces implantable electronics to treat neurological disorders. To date, the startup has raised nearly $2.5 million in non-dilutive funding. 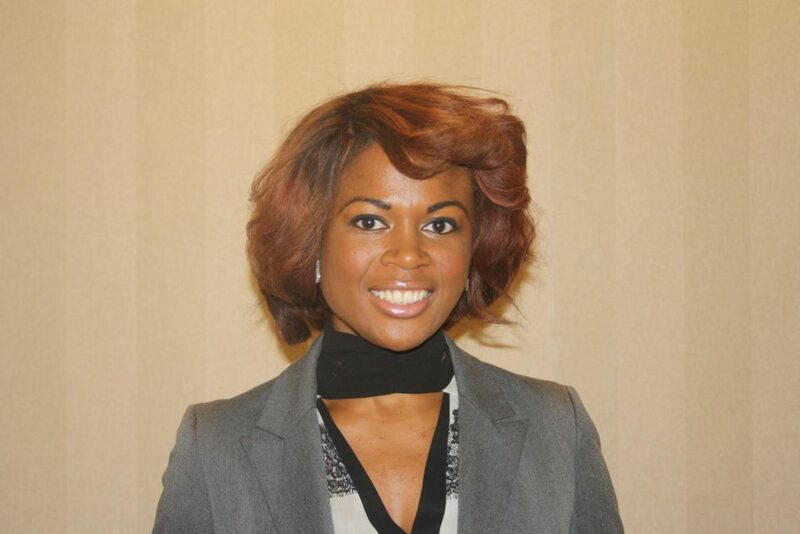 In her role as adjunct faculty in the University of Louisville College of Business, Angelique educates students on building successful companies using Lean Startup methodology. As one of Freeman Hrabowski’s Meyerhoff Scholars and a member of the Tau Beta Pi honors society, Dr. Johnson received Bachelor’s degrees in Computer Engineering and Mathematics from the University of Maryland, Baltimore County. Prior to attaining her PhD in Electrical Engineering from The University of Michigan, she worked on projects at the Cleveland Clinic, Massachusetts Institute of Technology, and California Institute of Technology on neural interfaces. Her work on microfabricated cochlear electrode arrays has resulted in several national and international patents, grant funding from the NSF and NIH, and a feature on the cover of Hearing Research. Passionate about people as well as engineering, Angelique has led numerous outreach programs to promote STEM careers to underrepresented minorities and women. One such program involved her traveling to Abu Dhabi to increase opportunities for Middle Eastern and North African Women in STEM. In addition to outreach, Angelique enjoys dancing, cooking, and running. She has completed four full marathons.